Our range of products include manual voltage stabilizer, air cooled servo stabilizer, air cooled stabilizer, three phase servo voltage stabilizer, three phase servo stabilizer and oil cooled three phase servo stabilizer. Efficiency (%) Greater than 85% With F.L. 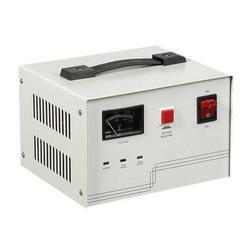 The Manual Voltage Stabilizer provided by us is used in various households and offices. We procure only factory-tested raw material to manufacture this range of products complying to the set norms and standard of the industry. Therefore, our stabilizers are very popular among our numerous customers. Mains, volt meter/Amp. Meter, with a switch to send, output voltage / Amp. 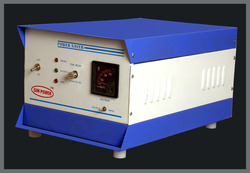 We are engaged in manufacturing, supplying and exporting quality assured Air Cooled Servo Stabilizer. Offered under the brand name Sangam, these stabilizers are manufactured using superior quality raw material and advanced machines. Leveraging on the rich industry experience, we have been able to provide the customers with an astounding assortment of Air Cooled Stabilizer. Specifically designed for providing a constant output voltage for single and three phase applications, the range is widely appreciated for efficiency, excellent performance, and shock resistance. The offered range is ideally used to stabilize AC voltage in electrical & electronic equipment, motor lab equipment, medical equipment, CNC machines and other costlier appliances. Three Phase Servo Voltage Stabilizer offered are based on latest technology support that provides for optimum usage environment as well as match to the functional requirements in regulating electricity flow. 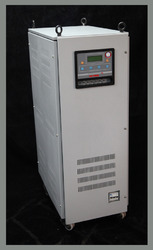 Finding wide usage in industrial, residential and commercial applications, these servo stabilizers assist in bringing a reduction in the breakdown of electrical equipment in event of uneven voltage fluctuations and are highly appreciated for high efficiency, low maintenance, and excellent performance. Three Phase Servo Stabilizer offered comprise highly functional Voltage Stabilizers that are designed using latest technology support so as to provide for optimum functional usage. These Voltage Stabilizers find extensive usage in controlling voltage fluctuations using solid state electronic circuitry. Being air cooled stabilizers, these function as automatic line voltage correctors that use the synchronous motor that provides for optimum functional usage. 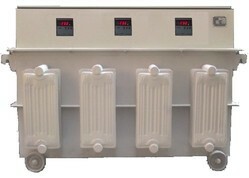 Oil Cooled Three Phase Servo Stabilizer offered comprise highly functional Voltage Stabilizers that are designed using latest technology support so as to provide for optimum functional usage. These Voltage Stabilizers find extensive usage in controlling voltage fluctuations using solid state electronic circuitry. Being air cooled stabilizers, these function as automatic line voltage correctors that use a synchronous motor that provides for optimum functional usage. 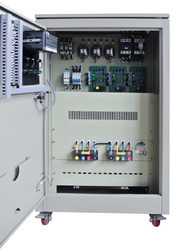 Automatic Single Phase Servo Voltage Stabilizer offered are backed by precision functional standards and technology support that provides for optimum end usage in defined voltage stabilizing applications. Manufactured using latest technology support, these Single Phase Voltage Stabilizers can be made available by us in different operating specifications and are valued by clients for high-performance standards. 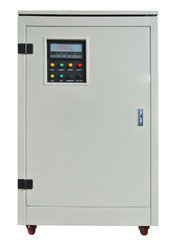 Single Phase Servo Voltage Stabilizer offered delivers O/P V regulation ± 1% of the nominal output voltage and comes with O/P Vindication digital voltmeter with the accuracy of 1% of FS ± 1 digit. These feature LED indications in form of Input ON, output ON, Front panel LED Indicators, Input high / Low and for other operating consoles and provides for superior end usage. The system also features under/over voltage tripping using an electronic cutoff circuit that comes with graded time delay set of @ 5% / -10% of nominal voltage. With the help of our expert professionals, we have been able to offer superior quality Oil Cooled Servo Stabilizer. These stabilizers are manufactured as per the set industry standards and norms by making use of superior quality raw material and highly advanced machines. Owing to their robust construction and high performance, these stabilizers are widely demanded by the clients. 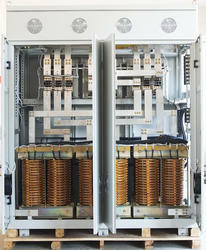 300V to 470V to 480V lne-to line, 3 phase 4-wire system (balanced or unbalanced to be specified) or as specified by customer. Correction Rate 10 V / Sec. Approx. Efficiency Greater Than 95% At. F.L. 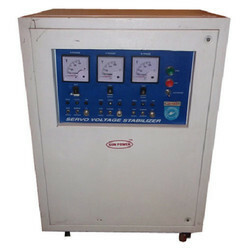 We are offering Single Phase Servo Stabilizer to our clients. 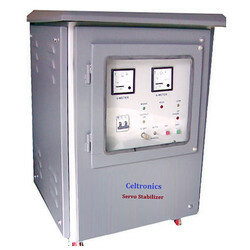 We are offering Servo Voltage Stabilizer to our clients. We are offering Digital Servo Stabilizers to our clients. 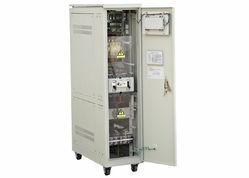 Digital Voltage Stabilizer are rugged proven over 30 years. Air cooled stabilizers are available in natural and forced air cooled in a range from 3 – 500 KVA. A) Electronic over & under voltage trip with time delay for input & output B) Electronic overload protection and short circuit protection upto 30 KVA through MCB and the Manual bypass is built in. 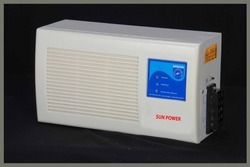 Above 30 KVA MCB/MCCB is an optional. 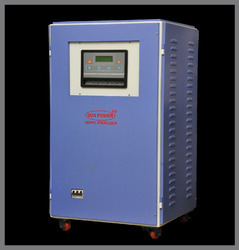 We are offering Automatic Voltage Stabilizer to our clients. We are offering Digital Servo Stabilizer to our clients. 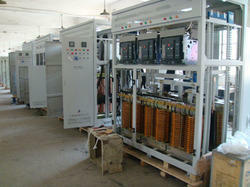 We are offering Voltage Stabilizer to our clients.